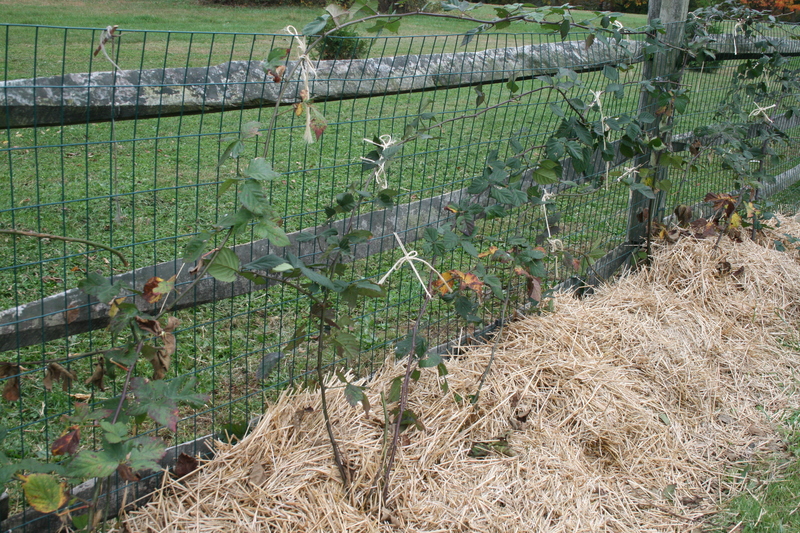 Blackberries trimmed and mulched for next Spring. blackberries for next spring, pruned the blueberries, pulled out the eggplant and sunflowers and planted beets, lettuce and kale. 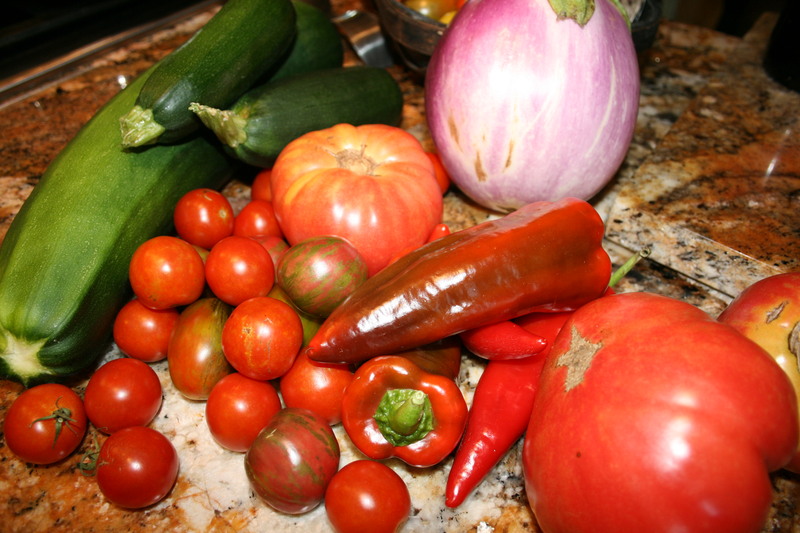 But I am still harvesting tomatoes, Italian peppers and green beans! The season is ending a whole lot warmer than it began so I am leaving these plants in place so I can get as many of the veggies as possible. I can only eat so much in a day so I learned how to preserve my harvest early in my gardening life. In fact, I have been preserving my harvest for well over 25 years and have learned a few things the hard way. But I think the folks at Eartheasy have captured some of the best canning tips . 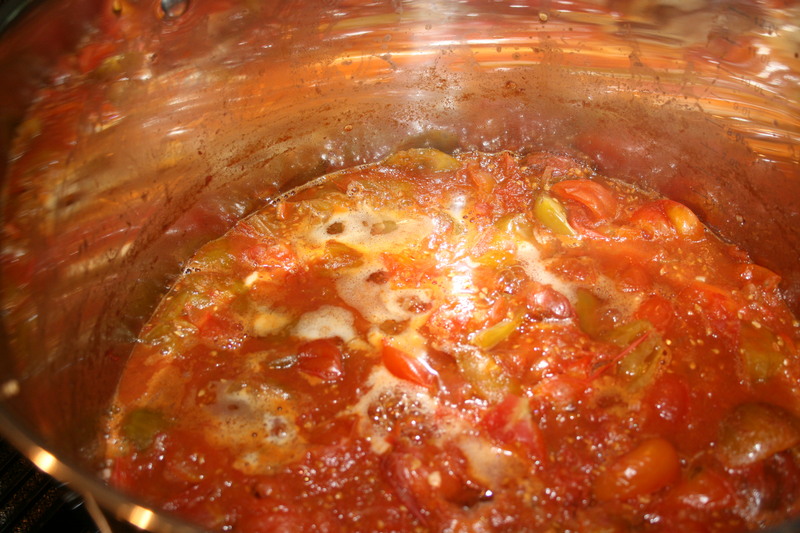 Heat your jars in the oven — at a very low temperature – to sterilize them. I just lay them down on a cookie sheet and put them in at 175 degrees for 8 to 10 minutes. This method is easier for me than trying to time the dishwasher to your canning project and safer than pouring boiling water in jars. Make sure your water bath is boiling before you put the jars in. I always start it a bit early just in case. I can turn the flame down if I’m not ready for it but I know my water bath is there for me when I need it. And I know I won’t over process or under process. Heat your jar lids. I boil water in a pan then put the lids and rings together and drop them in the hot water. 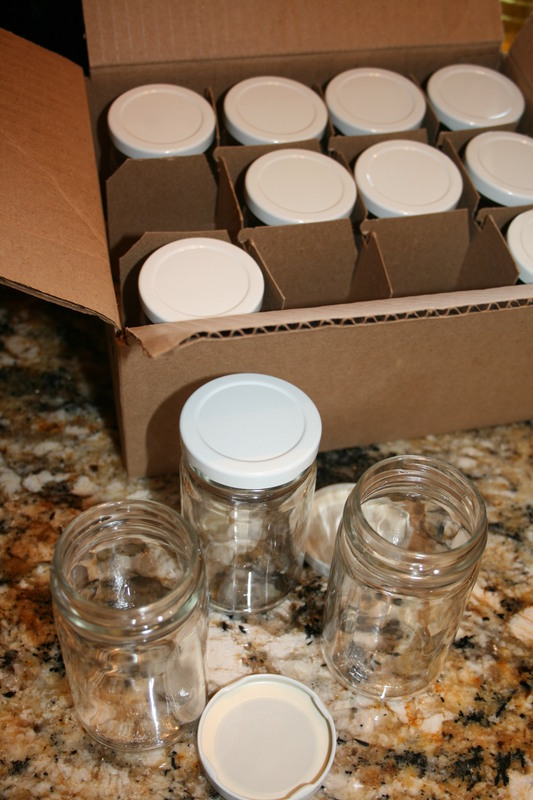 This help to heat up the thin rubber seal on the jar lid and sterilizes the rings – two important factors of successful canning. 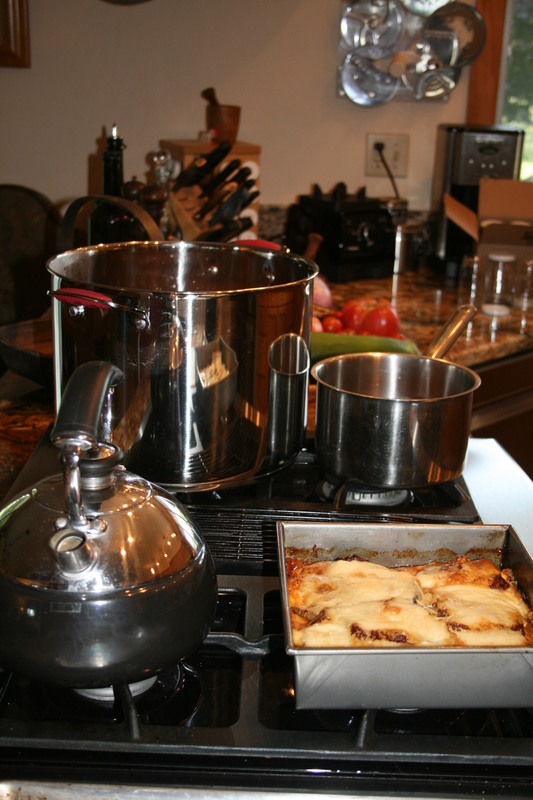 If what you’re canning is not acidic, use your pressure cooker! Tomatoes are okay in a water bath; green beans are NOT! When in doubt — throw it out. If you take a jar off your shelf in the pantry and the color just doesn’t look right or it’s sticky on the outside or the lid is lifted, toss it out! Better to be safe than sorry when it comes to home canning. I also use my dehydrator to preserve my harvest for everything from cherries and apples to tomatoes and herbs. And I freeze crops, too. 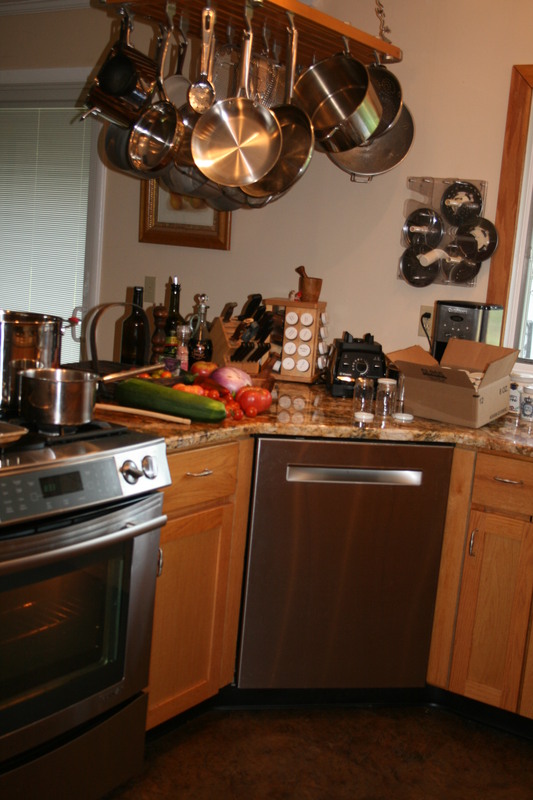 Open my freezer door in January and you will find zucchetti spaghetti, shredded zucchini, sliced and fried eggplant slices, blanched green beans, whole frozen plum tomatoes and fresh frozen pasta sauce mixed in with bags and bags of blueberries, blackberries and cherries. Think of all the work you put in to get to harvest then think of ways of saving as much as possible. You’ll be happy you did when snow is falling and wind is howling outside and you are sitting down to eggplant parmesan or butternut kale quinoa soup. ps – please forgive the gap in posting. My husband has been ill and out of work for 6 weeks but is on the mend, now.